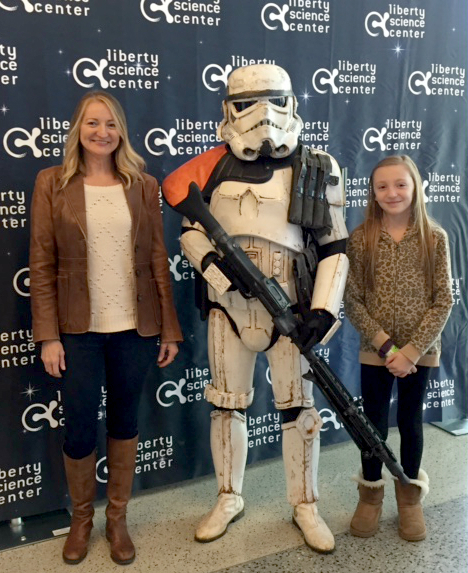 Last weekend we were invited to explore the Liberty Science Center. We love the LSC and look forward to any opportunity to visit. 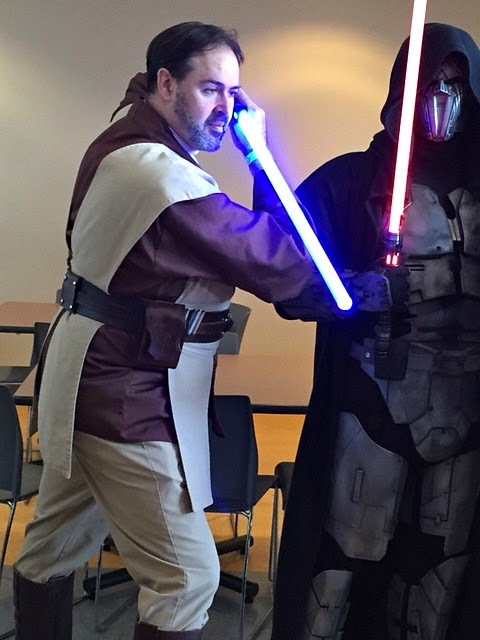 This past weekend was especially fun since the LSC was playing host to a weekend-long Star Wars party. 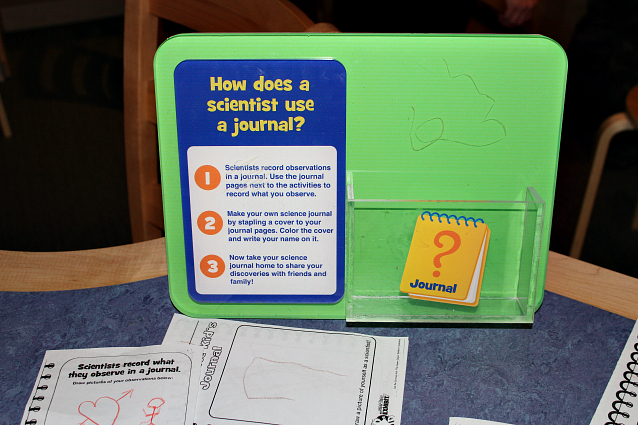 While we were there, we explored the new Sid the Science Kid exhibit as well as Titanic: The Artifact Exhibit. 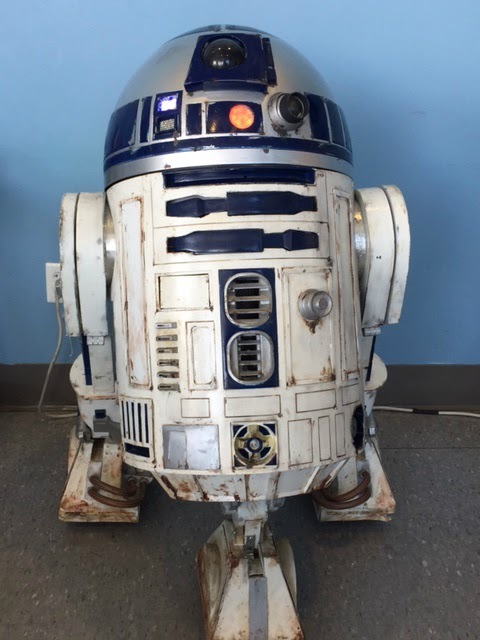 Our visit started off with a private meet and greet with Star Wars characters. 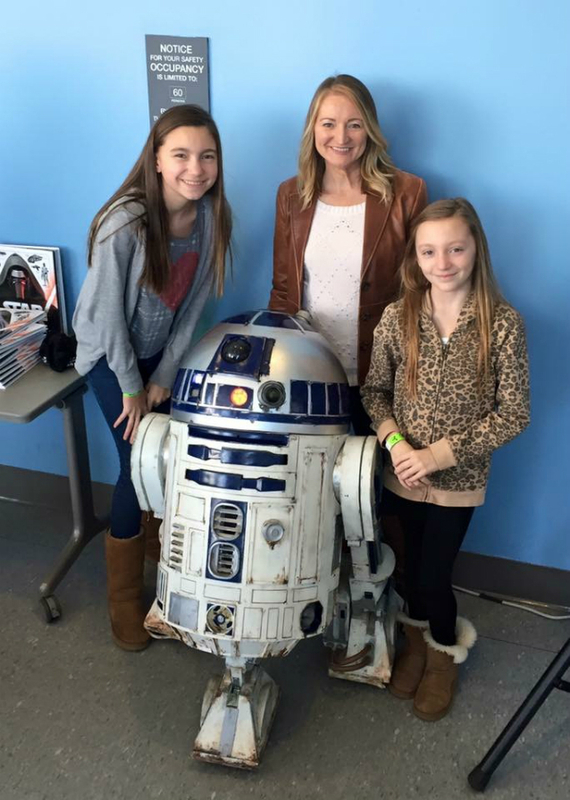 R2D2, Stormtroopers, Obi Wan Kenobi, it was pretty incredible for this Star Wars fan! 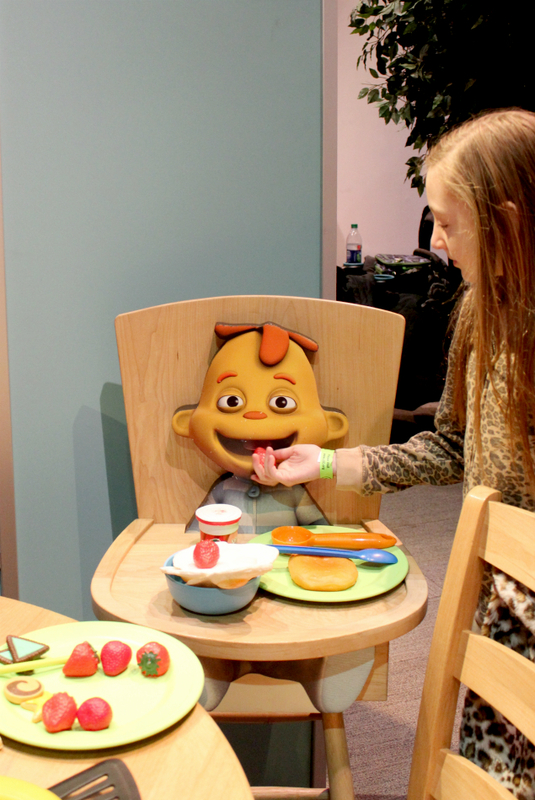 The Sid the Science Kid exhibit runs from now through May 15, 2016. 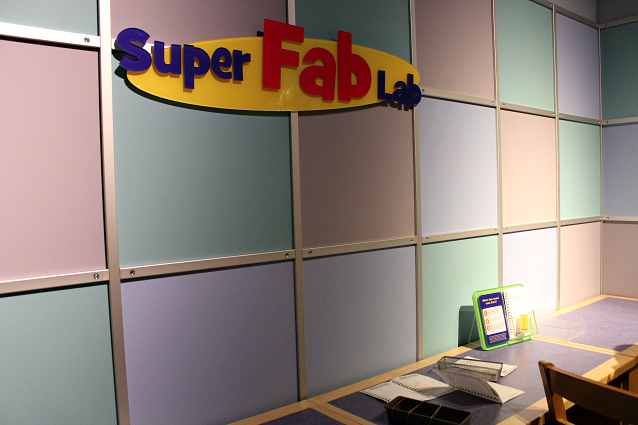 The popular PBS kids' show comes to life in a fun and interactive exhibit where children learn and explore the fun of science. Kids have the opportunity to test out weights and measures, a pulley system, explore in the kitchen, and examine items under a microscope. 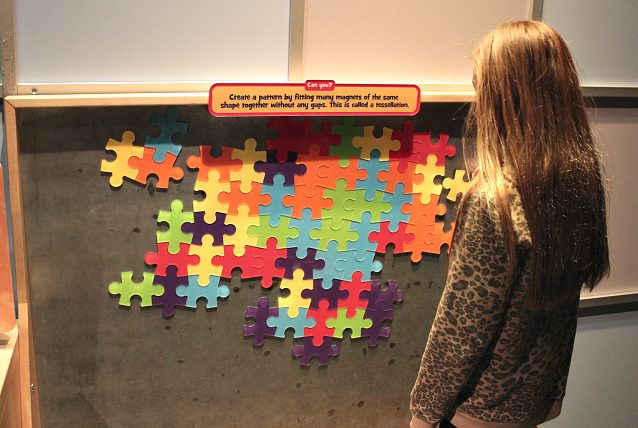 The exhibit is filled with brightly colored attractions and is a delight for little ones. I was excited about checking out the Titanic: The Artifact Exhibit. I was pleasantly surprised by how much my daughters loved this exhibit as well. Upon entering the exhibit, we were given a boarding pass with the name and personal information of an actual Titanic passenger typed on the back. We were not permitted to take photos of the exhibit, but trust me, it's definitely worth seeing. There are artifacts such as china and stemware from the voyage. You get an up close look at the different types of accommodations including first, second, and third classes. You get an overwhelming sense of being on the ship and you can almost feel the fear that the passengers undoubtedly experienced. This exhibit runs through May 30, 2016. One lucky Pieces of a Mom winner will win a 4-pack of tickets to the Liberty Science Center. The tickets include complimentary admission to LSC for up to 4 adults or children during normal operating hours. Tickets do not include parking, or any special programming or IMAX movies. Tickets expire December 31, 2016. Enter using the contest widget below. Disclosure: I received complimentary admission to LSC for me and my family and a 4-pack of tickets to give away. All opinions are my own.